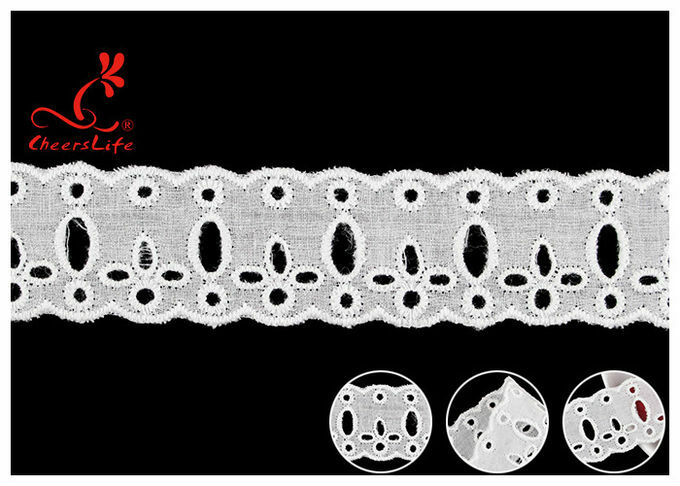 - Original Cotton Lace Trims with heavy embroidery strict according to OEKO-Tex 100. 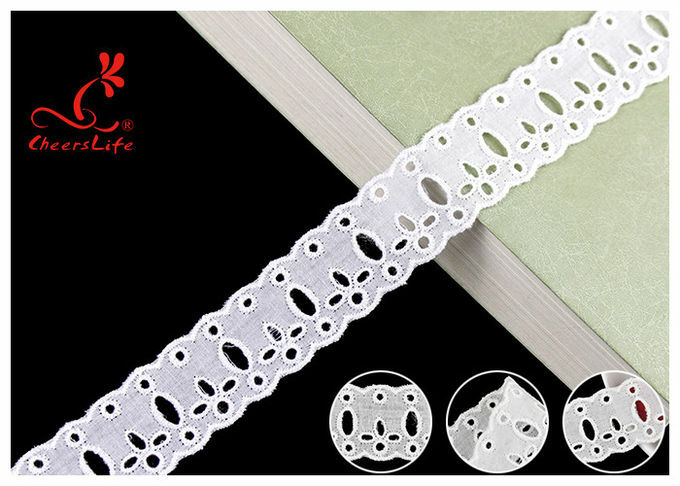 - Factory lace manufacturer, customized material, design and color available. - 14 years product development experience, support OEM, ODM, R&D services. - High Color Fastness level 3.5~4, include sun, soaping, perspiration, friction, brushing, ironing, etc. - Azo free, consistent with the highest international standards, exports to Europe, America, Japan, US, etc. 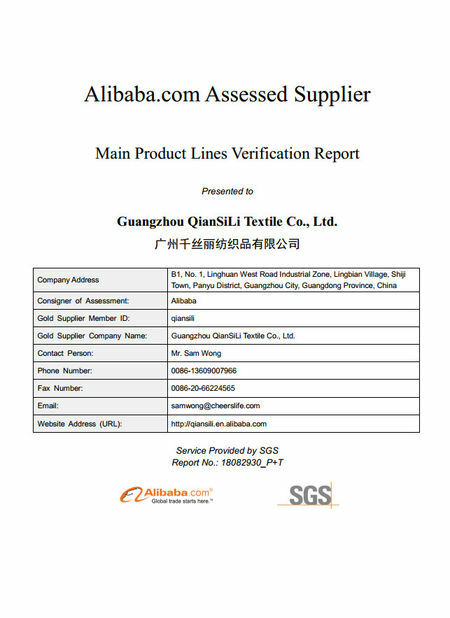 - Thorough and sophisticated quality control with 100% inspect. - Resourceful Developing meet any requirements of garment factory, merchandise, sourcing etc. You can enjoy 100% organic cotton does not contain pesticides and chemicals. - Good hygroscopicity, feel soft and comfortable when they come into contact with the skin without the dry, stiff feeling. 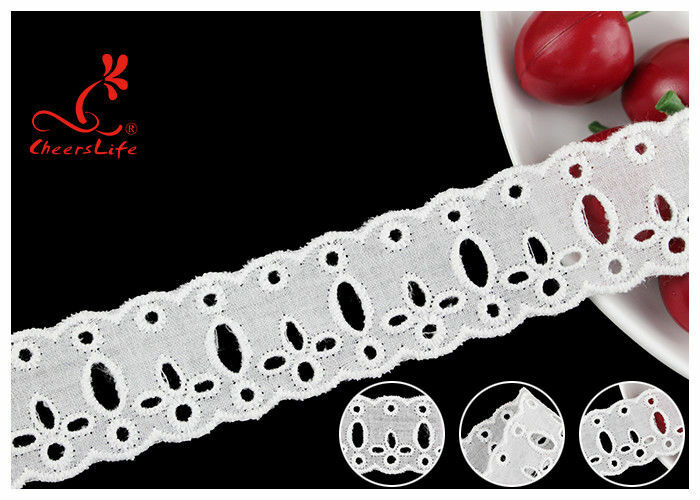 - Poor conductors of electricity, cotton fiber textiles have good moisturizing, give people more warmth and comfort. - Heat resistance, enhance the durability of cotton products wash it. 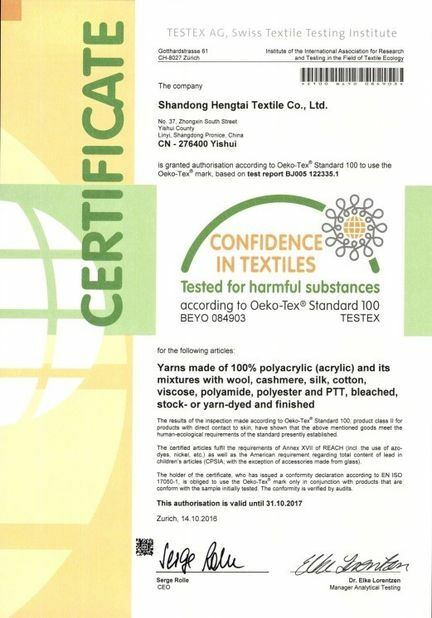 - Alkali resistance, facilitate the washing of clothing, disinfection, but also conducive to dyeing, printing. 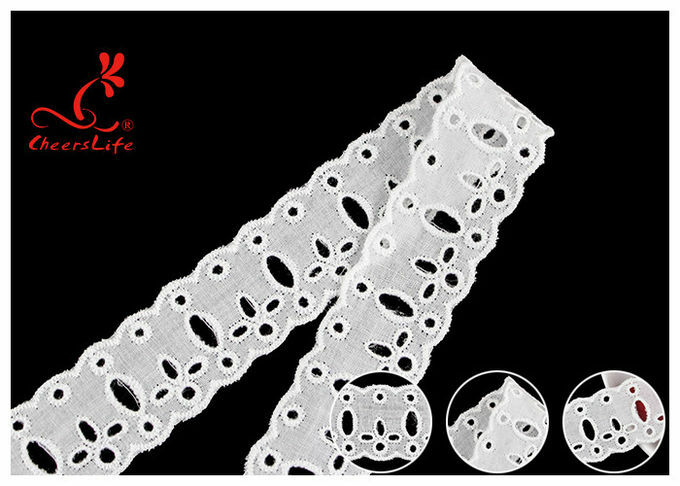 - Hygiene, we for a long time wearing cotton lace fabrics are also beneficial to the body, health performance is quite good. - Good thermal effect, insulation is the best major feature. 1. Analyse the sketch or the specimen. 2. Design the CAD artwork. Accuracy information to production team.